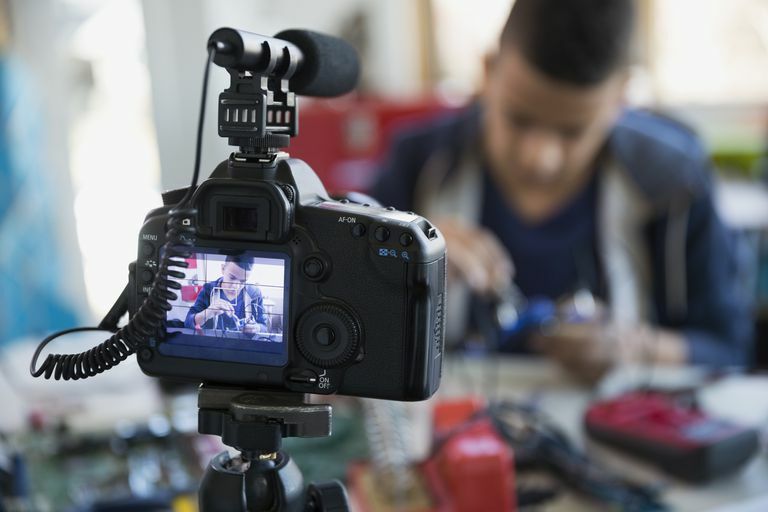 Quality video production can be an expensive venture, but it is possible to make your videos as professional looking as possible without the pro price tag. Check out the following online free production tools to help you get started. Visual effects can be either tough to create or require expensive plug-ins and years of practice. Rampant Design Tools has created a free version of their amazing drag and drop effects. Snow, dirt, sparks, fire, style mattes, all for free. The best part of 4KFree.com is that the clips are pre-rendered Quicktime files, so to use them just drag one or more of them onto a layer above existing footage in an editing application and change the blend or transfer mode and your footage is instantly cooler. Blender is an open source 3D animation suite that stands on its own. It has the power, tools, and support to compete with the mainstream, expensive 3D applciations. Blender features all of the tools necessary to manage the 3D workflow: modeling, rigging, animation, simulation, rendering, compositing, and motion tracking. There are even tools for video editing and game creation packed in there. Being open source, some people use Blender’s API for Python to customize the application and create their own tools. Another plus with Blender is that it's totally cross platform, so it’ll run equally well on Linux, Windows, and Mac computers. Stock images come in handy for all sorts of things: backgrounds, perspective shots, creating an environment, filling in for b-roll. When it comes to low-cost productions, low-cost solutions are the way to go. Fortunately, long-long-favored free image site sxc.hu has stayed awesome, even after the rebrand to freeimages.com. Search thousands of images to find the right one for a project and download it and as many others as needed. There are still attributions that need to be heeded, but the selection isn’t too bad. If the exact right shot isn’t available, premium iStock options will be displayed too and link back to the parent’s paid site. When time is of the essence, and production quality is a must, Animoto can come to the rescue. Choose a theme, upload some clips or still shots and the web-based application will produce a high quality, beautifully produced animation-based slideshow-style video. There are paid options, but lots of fun can be had for free. Both Camtasia (for Windows) or Quicktime (for Mac and Windows) can capture video of your computer screen. Whether creating a how-to video or just capturing a clip of your screen to use later as a reminder of how you did something, these applications will quickly and easily record what you’re up to. Magisto is a cool, free tool for making videos. It doesn’t get much simpler either. Much like Animoto, simply upload video clips and still images, choose a theme, and then choose a soundtrack. In no time, Magisto will have them edited into a nice little video. Need to cut something at a wedding between ceremony and reception? Try Magisto.